The appliance is supplied with 2 disks. Nutri Disc is what you need to extract juice from hard fruit/vegetables while Froojie Disc will help you get the most nutrients from soft fruit. The juicer is quite bulky. 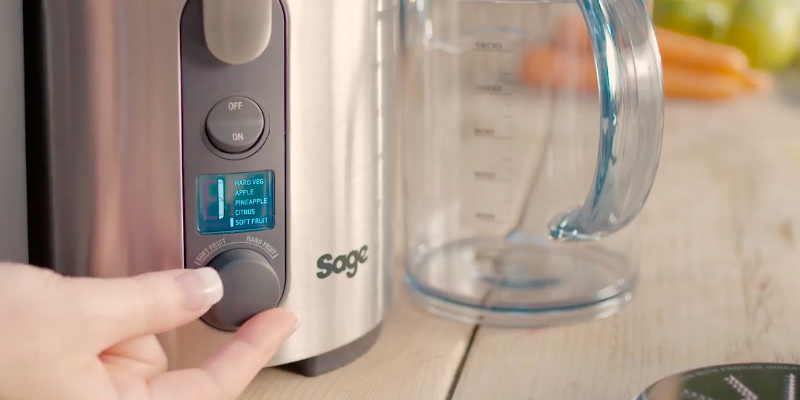 The Nutri Juicer Plus from Sage is a must in your kitchen arsenal. With this powerful appliance at hand, treating your family to tasty and healthy juices and smoothies becomes the easiest thing ever. For a longer flawless motor operation, there is a special air outlet on the body that ensures due ventilation and prevents motor from overheating. Due to quite low speed settings, squeezing hard fruit will take more time. Along with high-performance characteristics, this model boasts powerful extraction and unbelievably quiet operation at 60 dB noise level only. Thanks to the unique Pre-clean function, it's possible to flush all particles and fibres left on the lid and sieve in mere seconds. A scrubbing brush is not included. Use Philips HR1867/21 to achieve consistent results while putting a minimum effort. Being compact in size, it still can provide you with 2 litres of fresh juice, enough for your whole family. With pulp and juice containers located under ABS auger, VonShef juicer is quite small in size and compact in storage. A power cord is a bit short. This one-of-the-kind model is a must for any healthy diet follower. Enjoy the benefits and flavours of wheatgrass juice, fresh soymilk, etc. with this immaculate juicer by VonShef. 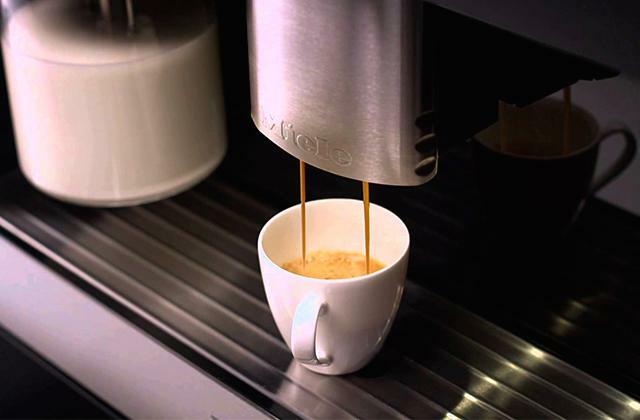 The form of juice container and a spout on the lid allow pouring juice more accurately, separating the froth. A glossy body is easily soiled. Keep fit, lose weight, enjoy delicious fruit and veggie freshes. Experiment with flavours and combinations. This is exactly what this Andrew James juicer has been meant for! Available in a vibrant red colour too. Would you like to treat your near and dear to fresh juices/smoothies every morning? Then we recommend you to consider purchasing the Sage BJE520UK Nutri Juicer Plus, which can turn any fruit or vegetable into a 1.2-litre jug of nutritious drink in mere seconds. 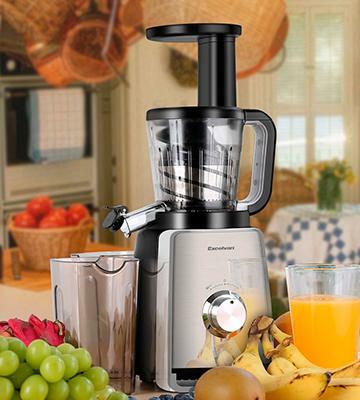 Such immense performance of the juicer has been achieved thanks to several features that it comes equipped with. First of all, the juicer has a powerful 1300-Watt motor which allows it to run fast and deliver excellent results even at low speeds (there are five speed settings to choose from). If you haven't used a juicer before and aren't sure which speed to choose, there's a handy LCD display that provides the tips regarding the best options possible. Secondly, the Sage machine has an extra wide 84-mm feed chute that allows you to juice even large fruit without pre-cutting. Thus, you can load in whole apples and the machine will juice them perfectly well. 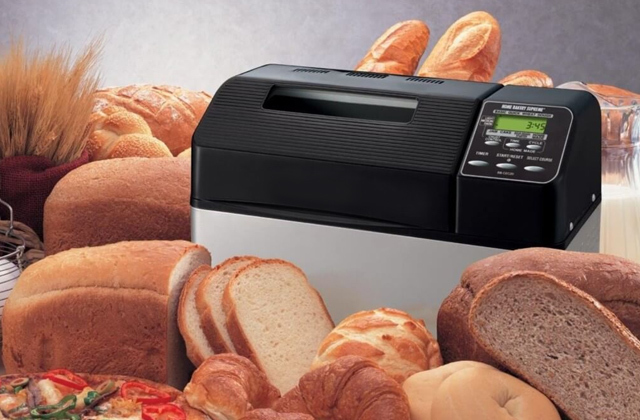 In addition to impressive performance, the BJE520UK boasts some great convenience features. It consists of a few parts that can be detached and safely washed by hand and in a dishwasher. It also has a handy built-in cord storage that allows you to wind the cord right into the housing and store the BJE520UK neatly on the kitchen worktop. For a user's convenience and safety, the BJE520UK comes with a special plunger, which helps push down fruit/vegetables into the feed chute without risks of injuring hands. The interlocking safety system of the juicer ensures more protection, ensuring that the appliance works only when the cover is placed properly. Thanks to that, you can operate the device safely and have peace of mind. 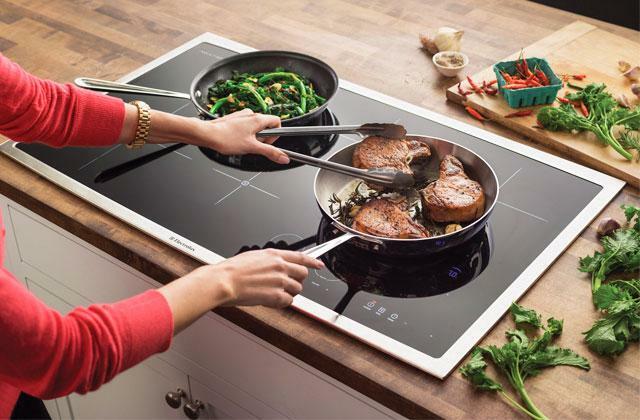 Finally, don’t overlook the materials of the appliance. The combination of stainless steel and high-quality black plastic not only makes the juicer look stylish but also ensures its long service life. Speaking of this model, the first thing to mention is that it's a slow juicer. 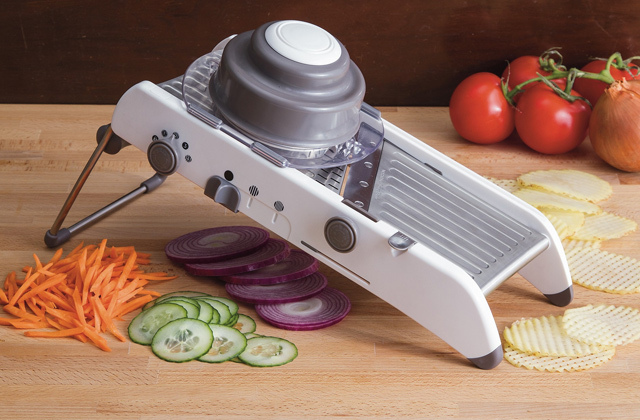 It uses a low-speed 150-watt motor and an auger to squeeze fruit and vegetables at 45 RPM. At the first sight, the power might seem too low but as soon as you try it, you will see that an auger type juicing system is highly efficient both for hard veggies and soft juicy fruit. You will get completely dry pulp after juicing that means the juice is extracted almost up to a single drop. An excellent result! Though it might take a bit longer, slow juicing preserves almost 100% nutrients and vitamins in their natural form producing less heat as compared to quick juicing. Apart from the obvious health benefits, this model offers an easy-to-use, compact and smart design, a hassle-free cleaning and extremely simple operation. 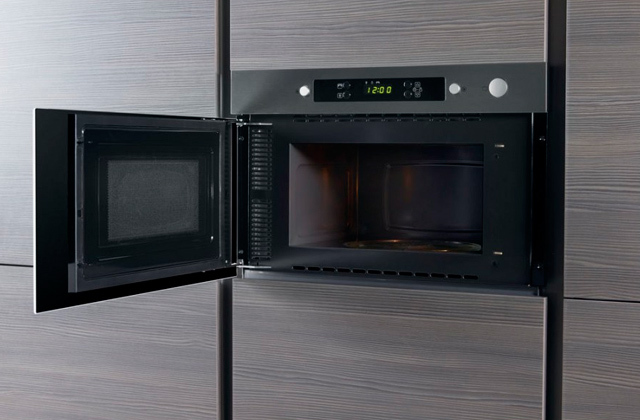 An air outlet in a stainless steel body ensures due ventilation and prevents motor overheating for a flawless motor operation. 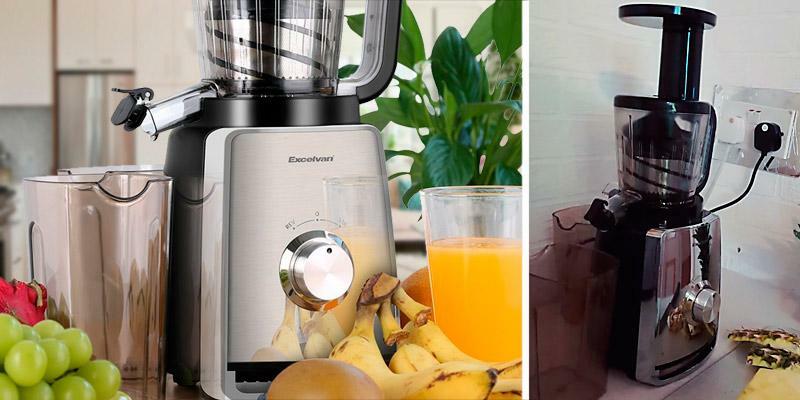 But what you will really love about the Excelvan slow juicer is its extremely quiet operation with a controlled noise level that doesn't exceed 60 dB. 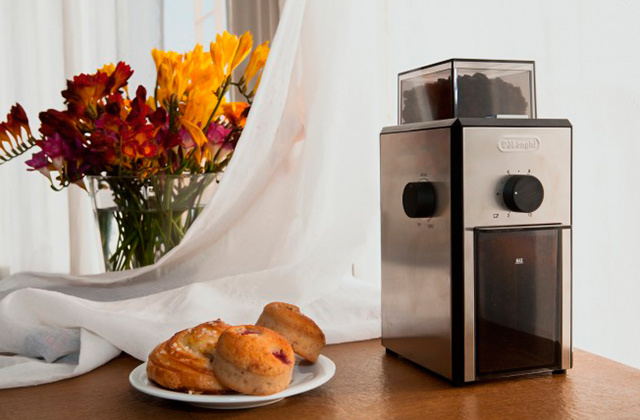 A high-quality silence motor ensures a more comfortable noiseless juicing experience allowing you to make fresh juice in the morning for the whole family while everybody is still in bed. If you follow a healthy diet, keep fit or simply prefer all-natural food with delicious natural flavours, you definitely need a slow juicer like this one by Excelvan. Get a habit of drinking fresh juice and maximise your nutrition! Mellow fruit matter for fine consistency and delicious flavour of your juice while attractive serving is essential to stimulate appetite and enjoy a natural taste to the fullest. In high-quality clear glasses from Luminarc any beverage from an exquisite cocktail to juice or water will look more delicious and appetising. And a set of 12 pieces is perfect even for a big family. 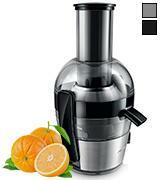 Nowadays, a juicer is an essential accessory that takes a decent place in almost any kitchen. Once you get a high-quality juicer, you will be able to enjoy a raw juice full of vitamins and antioxidants on a daily basis. Yet, many users confess that they often refuse using a juicer due to a tiresome and time-taking cleanup. 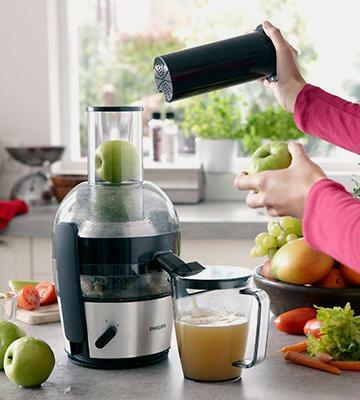 Forget about messy and fussy cleaning with an ingenious juicer by Philips! 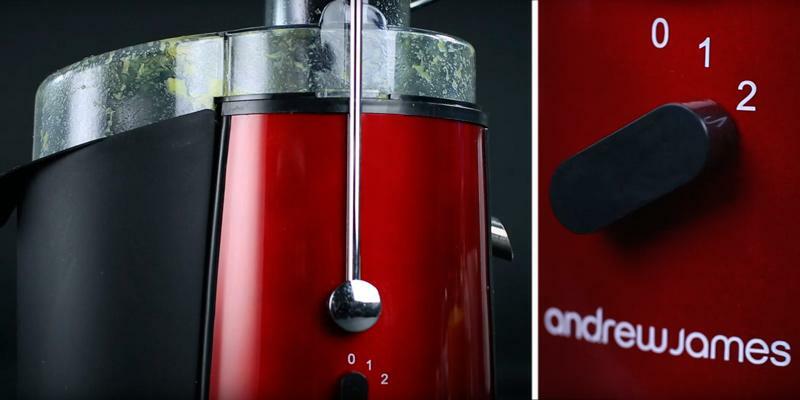 Thanks to a unique QuickClean Technology, you can clean this juicer in a matter of seconds. Incredible! All removable parts are dishwasher-safe. Besides, an integrated pulp container under a stainless steel disc has a special design for no-mess pulp collection and more efficient juice channelling. On top of that, Philips HR1867/21 juicer is the first one with Pre-clean function. 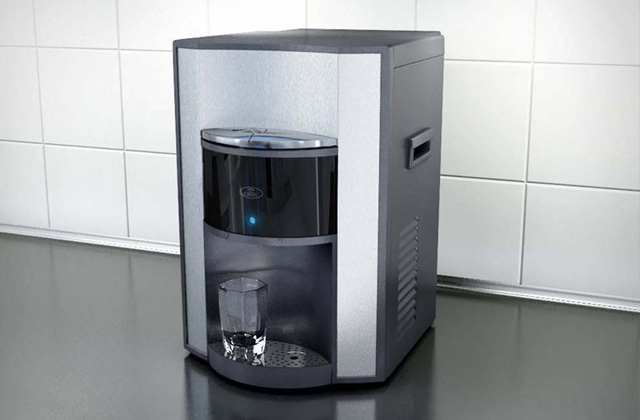 You can simply pour some water through the pusher and switch the unit on to remove residual fibres and particles or flush the machine between different types of juice. And finally, QuickClean materials used for smooth plastic body parts, stainless steel finish and an electro-polished sieve were selected to offer ease of use and cleaning. 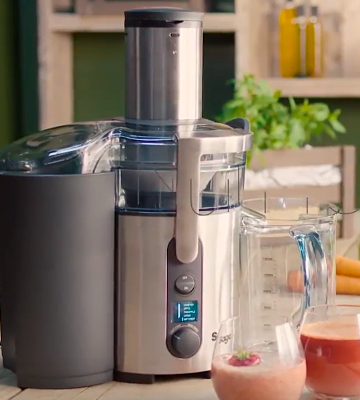 Add to that a strong 700-watt motor, quick and intuitive assembly, a compact space-saving design, generous 2-litre jar capacity and you get a perfect juicer to meet the needs of most users, even the most exacting. Experiment with your favourite ingredients and receive a nutrition you need! If you want to have a sip of freshly squeezed juice on the go while walking in the park, after a morning jog, during a midday break or after an intensive workout in the gym, it is easy if you have this ion8 Ultimate Leak Proof bottle. BPA-free plastic is absolutely safe for hot and cold drinks while a leak proof design allows putting the bottle into your bag or backpack. All Healthy Diet Followers Take Heart! In a fast pace of modern life, we often eat fast and processed food that lack essential vitamins and nutrients but rich in calories, sugar, sodium and fat. Such diet can blunt your immunity system eventually and even cause some diseases, to say nothing about weight gain. For this reason, more and more people follow a healthy diet cooking all-natural organic food. When it comes to drinks, it's hard to do without a good juicer. The VonShef Masticating Juicer is a unit created for all users who care about their health and highly value the benefits of all-natural fresh juice. This masticating juicer uses a powerful 150-watt low-speed motor along with a strong spiral auger to extract juice from a variety of fruit, vegetables, and leafy greens retaining all minerals, enzymes, and nutrients inside. Owing to juice and pulp containers put right under the auger, the unit will not take much space on your countertop. 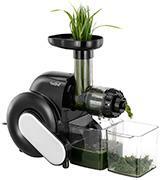 But what really makes this VonShef juicer special and sets it apart from many other models is a wheatgrass juicing option. Needless to say that wheatgrass boasts numerous fantastic health benefits. It is a natural source of vitamins and antioxidants. A wheatgrass drink will detox your body and enrich it with bioactive substances, improve digestion and give your skin a healthy radiant look. There is more to come! You can use this robust juicer to produce soymilk. A fresh and tasty homemade soymilk will become the best alternative to milk bought from a store. 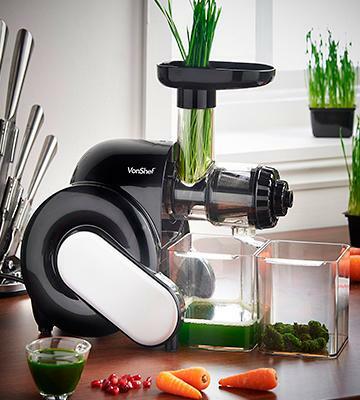 Get the best out of your food and give your body a real health boost with the unmatched VonShef juicer! Since water is another key element of a healthy diet that has a great impact on how we look and feel, it is recommended to drink a lot of water and of a good quality. The water should be not only purified but also have an optimal pH balance. Alkaline water ionizers will help you check pH level of your drinking water in mere seconds. It is not a secret that fruit and vegetables are the key elements of a healthy menu and are no less important than meat, fish, and dairy products. Fruit, veggies and greens are packed with vital vitamins and minerals, especially vitamins A and C. A powerful yet quiet centrifugal juicer by Andrew James will help you squeeze soft and hard ingredients (from carrot, parsnip and asparagus to oranges, peaches, spinach and celery) equally well. 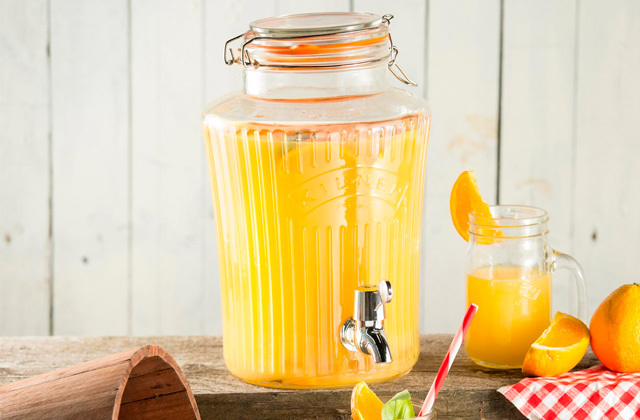 Stainless steel cutting blades will easily rip apart all ingredients while a premium-quality mesh filter will separate pulp into a handy 2-litre pulp container and channel juice into the 1-litre jar. A large 75-mm feed chute easily accommodates even whole fruit saving you time and effort on peeling and chopping. Simply feed your favourite fruit and veggies directly into the chute and let the juicer work its magic. In a matter of seconds, you will have a glass of perfectly squeezed juice with a fine texture. When it comes to cleaning, you will be impressed how quickly and easily it can be done. You can wash all removable parts either in a dishwasher or rinse them under the tap water and clean with a special brush afterward. 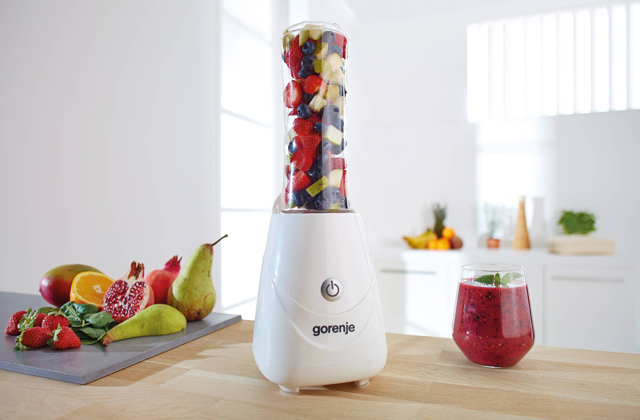 Making fresh and healthy fruit and vegetable juice at home has never been easier! Create your own fantastic mixtures, combine ingredients you like and drink delicious juice every day. 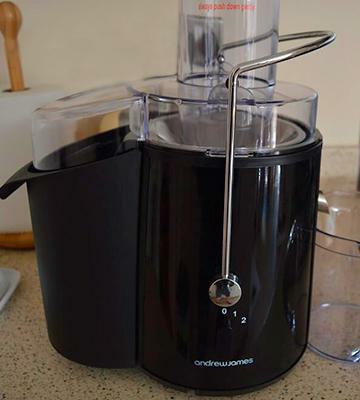 Get into essentials of a healthy diet with the Andrew James Professional Power Juicer! A large digital yoghurt maker is another incredible appliance from Andrew James that can make your kitchen life easier and more enjoyable. A 12-jar provides enough capacity for delicious home-made yohgurt. It can also be used for preparing dips and curries. No more additives and preservatives! Be sure that you cook only healthy and wholesome meals for your family. Juicing has become really popular in the recent years and not without a reason. A glass of fresh juice (175-300 ml) can fulfill the recommended daily supply of vitamins, minerals and fibre. In this best juicer review, we compare the most popular juicers to help you find the best juicer extractor to fit your needs. 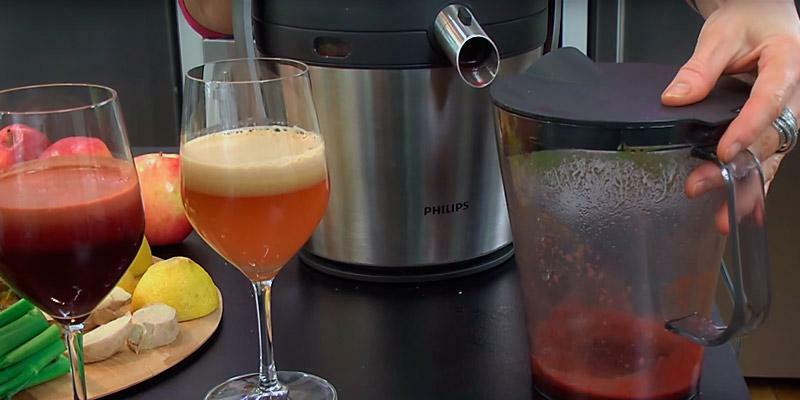 These Juicers can be used daily in restaurants, cafes and at home. A modern juicer machine is able to squeeze juice from any fruit or vegetable, preserving all the vitamins, minerals, enzymes and amino acids! All you need to do is load fruit or vegetables into the chute, set the speed, start the juicer, wait for a few seconds and voilà, you can enjoy a fresh and healthy drink. And if there’s more juice than you’d like to drink, it can be stored in a container in your fridge. If you like fresh fruit desserts, also be sure to check out countertop blenders which will help make many delicious treats. Drinking fresh juice is a step to a healthy lifestyle. 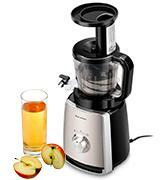 If you want to drink fresh juice every day, it is best to have a juicer that provides quick and easy juicing. To make sure that you will enjoy your new juicing experience, please consider what you're going to use the juicer for. Juicing capabilities and the type of the juicer determine which produce (fruit, vegetable, greens, etc.) the juicer can work with. Considering types, masticating and centrifugal juicers are the most popular juicers you can take advantage of. 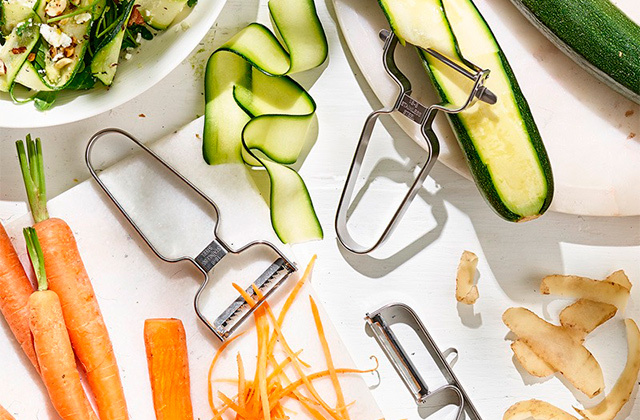 A centrifugal juicer chops fruit or vegetables up with a grater disc. At the same time, the juicer spins the fruit or vegetables at high speed and separates the juice from the pulp with the centrifugal force. The juice then gets to a special container, and the pulp remains behind in a pulp bin. A centrifugal juice extractor requires less preparation and juices fast, but it doesn’t work well with leafy green vegetables or wheatgrass. 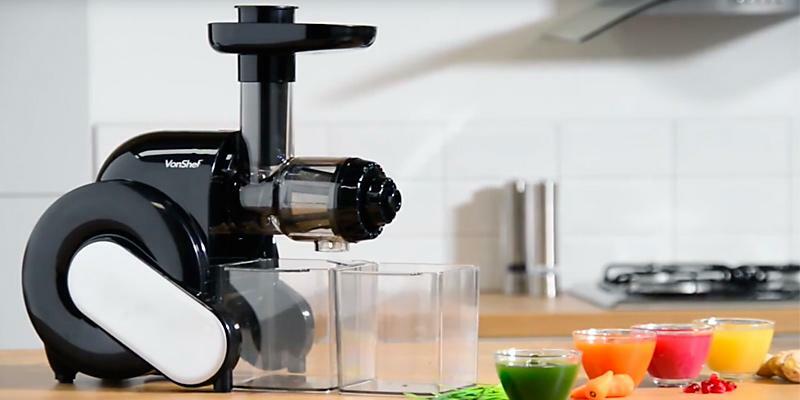 A masticating juicer has an auger that crushes fruits, vegetables, greens, then compresses them and squeezes the juice. A masticating juicer is relatively slow, so it can process leafy greens. Moreover, the produced raw juice preserves all the useful elements longer, with less heat and oxidation. The efficiency of a juicer machine is another important parameter to consider. To get the best out of your juicer, please remember that speed and power of a juicer greatly influence its performance. For example, the power about 400–1000 Watts is just enough for a domestic centrifugal juicer, there’s just no need to strive for higher rates. Such power will provide the desired rotational speed of the centrifuge for effective juicing. A masticating juice squeezer works at low speed, so a 150–400-watt juicer works great for juicing any fruit, vegetables, or green. 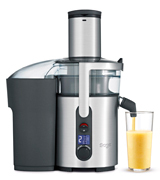 2–3 speeds will be enough for daily domestic juicing, and most juicer models typically have from 1 to 9 speeds. Higher speeds are best for juicing hard fruit and vegetables (carrots, beets, apples, etc.) while lower speeds work best for soft produce (peaches, pumpkins, watermelons, etc.). By adjusting the speed, you can control the density of produced juice. Note that you usually get more pulp in your juice when juicing on higher speeds. Convenience features not only make juicing easier but also influence its performance and functionality. The first important thing here is the size of the chute. Again, the juicer should be chosen depending on what fruit or vegetables you want to juice. For example, the average size of an apple is about 50 mm, so, to squeeze the juice from a whole apple without any pre-cutting, the chute must be bigger than 50 mm. Special filters in a juicer provide better control over the quality of juice and the amount of foam in it. A handy pusher (plunger) will serve to safely push the fruit through the feed chute to the blades of the juicer. Additional indicators and lighting will also provide extra convenience when using a juicer. Keep in mind that the juice container and the pulp bin of the juicer should be big enough to allow for producing enough fresh juice for yourself or your whole family. Remember that raw juice is a perishable product, so the volume of the juice pitcher should match the quantity of juice consumed. 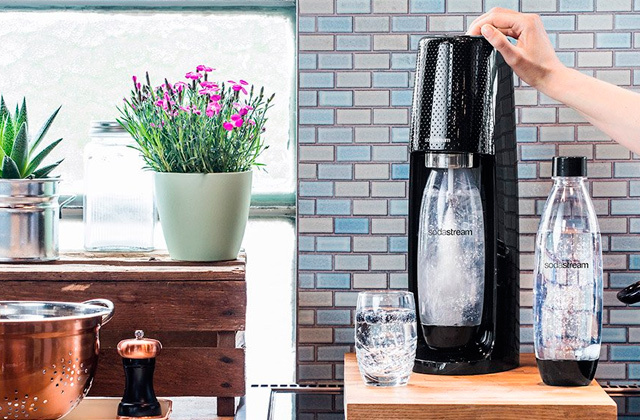 Some juicers feature an anti-drip system which will allow you to control the juice flow to the pitcher or even pause the flow to change the juice container. Take into account that this feature is extremely useful when juicing directly to a glass or cup from which you are going to drink. In order to make cleaning easy, it is better to choose a juicer with removable working parts, including dishwasher-safe parts that are easy to clean and wash. Furthermore, some juicers come with a special cleaning brush for quick and easy clean-up of small cells and sharp details. When buying a juicer, it’s hard to expect any other options in addition to juicing. 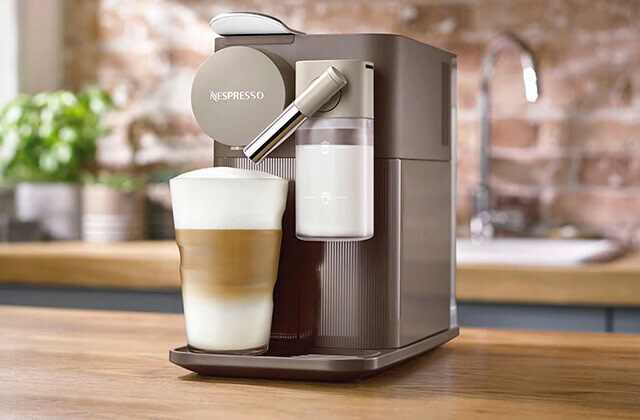 But best juicers can surprise you with a whole set of extra features for other tasks, such as making nut butter or grinding coffee. Safety and reliability of the juicer are also important points. It is desirable that the juicers have locking systems that prevent misassembly and ensure proper closing of the covers. There might be situations when the motor might heat up during prolonged juicing. To prevent overheating, the juicer should have a protection system against overheating. If the motor heats up or is loaded up to a certain value, the sensors will activate and stop the operation of the juicer. This will keep your juicer in good condition and, following the advice provided in the manual, you’ll be able to continue juicing. 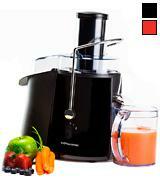 Rubberized feet of the juicer will hold the juicer machine firmly on the table and reduce its vibration during juicing. When working with a masticating juicer, the material of an auger should be strong enough to avoid breakages when juicing hard fruit or fruit with seeds. Also, there are cases when the auger gets blocked or scrolled against the crushed mass. A reverse mechanism, which scrolls the auger in the reverse direction, will help unlock and push out the crushed mass and seeds. In addition to the material of the internal parts, the material of the housing affects the reliability of the entire juicer. One of the best materials of the housing is stainless steel which, in addition to its durability and strength, makes the juicer look great in any kitchen interior. With the advancement of technology, some plastics have also acquired an excellent strength that can be compared even with metal. To sum up, plastic does not mean unreliability. 2. 12 Orange Juice Summer Cocktails That Aren’t Just Mimosas, BuzzFeed. May 4, 2015. 4. Jane Darling How to buy the best juicer, Which? 5. Healthy Juice Recipes for a Juicer or a Blender, Eating Well.